Join Ben Ward from the Information Technology Assistance Center for the Canvas brown-bag lunch series from noon-1 p.m. Thursday, July 16, in Hale Library Room 301. 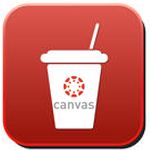 This week we will delve into messaging students, including inbox usage within Canvas. Feel free to bring your lunch, your laptop, and your friends. We look forward to seeing you there. If you have any questions, please email Ben Ward, bward@k-state.edu.